I was sooooo close to beating the game on Normal. 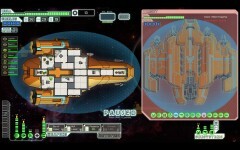 The boss ship had hardly any hull left on the 3rd fight but in the end it just pummeled me with lasers and missiles. I had won the previous two boss fights pretty easily with my full power shield, epic evasion capability and serious firepower. Also all my key crew members were fully leveled up in their skills. However 4 of my crew got wiped out so I only had 3 people left to run around and put out fires and repair things, which meant my mega ship wasn’t fully operational. Well my adrenaline was high on that last fight I can tell you. I really thought I was going to make it, but then it all fell apart. Gah! So disappointing. Anyway, if it isn’t already clear, I 100% recommend this game. It’s brilliant but super-addictive so watch out! This entry was posted on Saturday, January 12th, 2013 at 6:01 pm and is filed under Game Recommendations. You can follow any responses to this entry through the RSS 2.0 feed. Both comments and pings are currently closed. Indeed mega addictive game, a blooming masterpiece in fact. 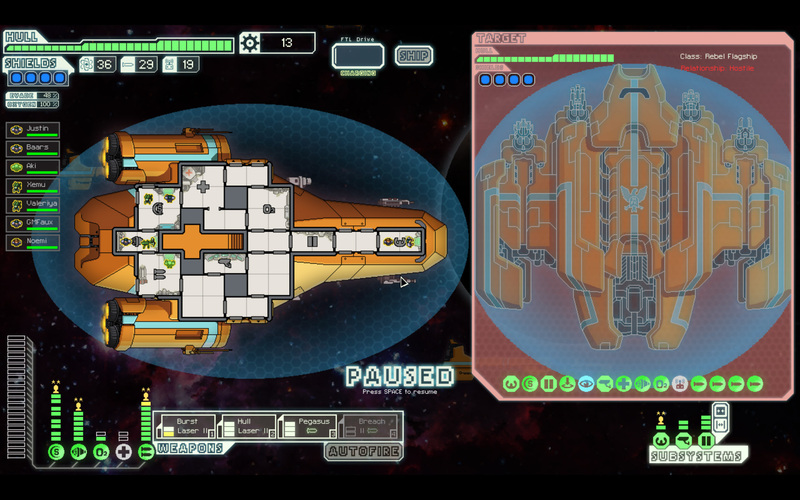 I find cloaking is immensely useful to help win the final battle because you can hide for a few moments, put out fires and power up your weapons while avoiding being shot. A Defense 2 drone is a quite good too, as it blasts both missiles and lasers. And finally if you have a crew transporter you can send in your troops to destroy the weapons that are separated from the rest of the mother ship. I heard that a cloak was super-useful. I had a couple of opportunities to buy in the game I blogged about but I never quite had enough money sadly. Perhaps I need to make it a major mission to get one next time. Defense drone is a good tip too. I guess maybe I spent too much on my shield. Yes I’ve seen someone teleport in to the weapon areas on a video. Anyway, great tips, thanks for posting!